In 1992, there was a historical meeting in Hong Kong between both sides of the Taiwan Strait. That meeting later gave birth to the term “1992 Consensus.” Although Taiwan and China have different understandings as to what that term entails, the Consensus, first articulated in 2000 by Su Chi, former head of the National Security Council in Ma Ying-jeou’s administration, has become a central pillar in maintaining the stability of cross-strait relations since Ma took office in 2008. On November 7, 2018, Ma again openly promoted the 1992 Consensus in a speech. Unlike her predecessor, the current president of Taiwan, Tsai Ing-wen of the Democratic Progressive Party, has not yet accepted the Consensus as the basis and foundation for interactions with China. Instead, she has acknowledged the 1992 meeting as a “historical fact.” In response to Tsai’s refusal to accept the Consensus, Beijing has unleashed several policies against the current administration, including barring any formal administrative interactions across the Strait, limiting the number of tourists allowed to visit Taiwan, poaching Taiwan’s diplomatic allies, and employing various means to diminish recognition of Taiwan in the international arena. For Beijing, the recognition of the Consensus — and perhaps most importantly, the “one China principle” — is a prerequisite for restoring any official contact with Taiwan. There is a debate about whether Tsai should accept the 1992 Consensus to improve cross-Strait relations. Proponents for agreeing the Consensus argue that since most citizens in Taiwan support the Consensus, it should serve as a basis for interactions with China. Others disagree, and consider it unnecessary for Taiwan to meet any demands from China, especially in the current tense political climate between the United States and China. Despite the debate, an important question remains unanswered. Although citizens show support for the Consensus, there has not been any study that probes Taiwanese citizens’ understanding of the content of the term. Because the content is complicated (more on this in a bit), citizens in Taiwan might agree on supporting the Consensus even while disagreeing on what it actually means. Without a solid understanding on public perception of the term and its content, leaders in Taiwan might trigger a disconnection between public policy and public opinion, potentially worsening cross-Strait relations. Given the disagreements on what the term contains, we have doubts that the average person in Taiwan could grasp its complexity. Thus, we are interested in finding out if citizens in Taiwan know what the term contains. To answer this question, we designed an internet survey and recruited 1,001 Taiwanese respondents, who were 20 years old and above. The sample has a certain level of national representativeness and was conducted by a polling center housed inside National Chengchi University in Taiwan from July 3-5, 2018. This survey is sponsored by Global Taiwan Institute and is pre-registered on Open Science Framework (full questionnaire and design can be found here). In the first question, we hoped to probe respondents’ understanding of the content of the 1992 Consensus. Participants chose from several different options: Taiwan’s (the KMT’s) definition, China’s definition, and a plainly wrong answer mentioning that the Consensus refers China and Taiwan being two different countries. In a follow-up question, we asked the respondents whether they would “support the government to accept the 1992 Consensus” if offered only one of the options for its meaning. (1) On international affairs, both ROC and PRC claim to represent the whole Chinese people including both mainland and Taiwan. (2) ROC represents Taiwan, PRC represents the mainland, the two governments belong to the same country waiting for unification. 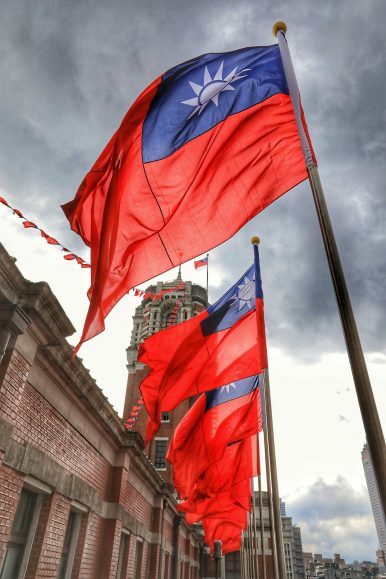 (3) ROC represents Taiwan, PRC represents the mainland, the two governments belong to two different countries. (4) PRC represents the whole Chinese people including both mainland and Taiwan, and ROC is the local government. The results: 34 percent of Taiwanese respondents chose the KMT administration’s definition (number 2 above), 5 percent chose China’s definition (#4), and 33 percent chose the incorrect two-country response (#3). Another 17 percent chose the first option, which represents the propaganda of former President Chiang Kai-shek. The remaining 11 percent did not respond. Unfortunately, Taiwanese people have no consensus on the definition of 1992 Consensus. It is surprising that one-third of the respondents in Taiwan believed that the 1992 Consensus implies that Taiwan and China are two separate countries. It is also noteworthy that only about another third of the respondents had an understanding that corresponds to Taiwanese government’s stance (which lasted until the 2016 turnover). A few of the respondents (5 percent) chose the PRC’s definition of the Consensus, in accordance with existing survey studies that reveal only a small percentage of citizens in Taiwan seek reunification with China. In terms of the acceptability of the Consensus, 75 percent of the respondents favored supporting the version that considered Taiwan and China as two separate countries. The versions used by both governments received support from less than half of the respondents: 48 percent favored option 2, and 10 percent favored option 4. Our survey provides important policy implications for cross-strait relations. The definitions of the 1992 Consensus employed by both official sides of the Strait are out of touch with the preferences of the public in Taiwan. But the majority preference among Taiwanese citizens that consider Taiwan and China as two separate countries is unacceptable to the PRC. As a result, pressuring Tsai’s government to accept the 1992 Consensus in its current form will be counterproductive, as it does not truly reflect public perception of cross-Strait relations. Austin Wang is Assistant Professor in the Department of Political Science at the University of Nevada, Las Vegas. Charles K.S. Wu is a Ph.D. Student in the Department of Political Science at Purdue University. Yao-Yuan Yeh is Assistant Professor in the Center for International Studies at the University of St. Thomas in Houston, Texas. Fang-Yu Chen is a Ph.D. candidate in the Department of Political Science at Michigan State University.